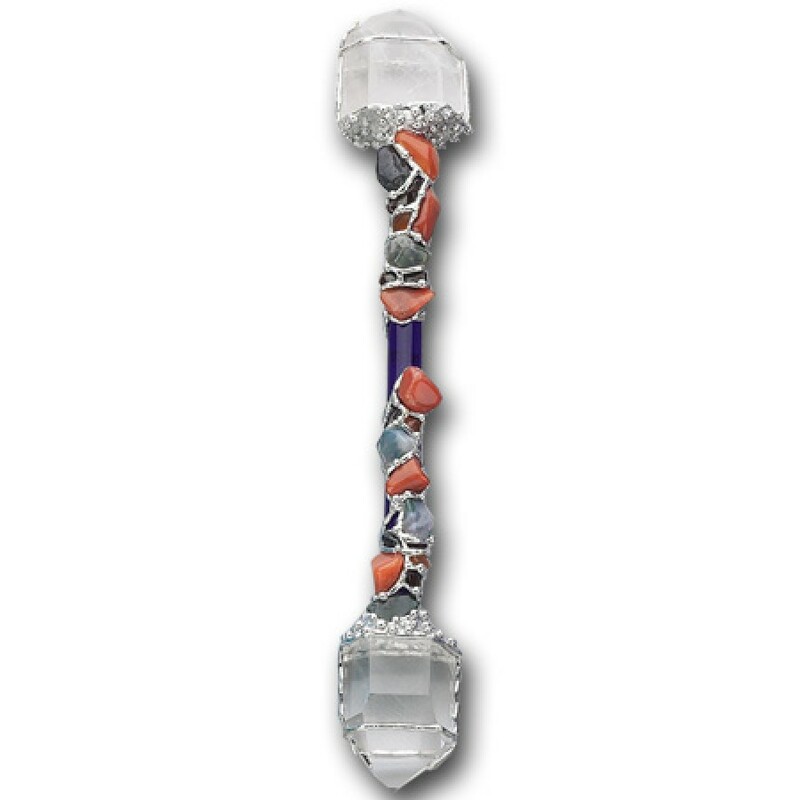 This stunning hand made wand for Confidence combines semi-precious stones and glass for a one of a kind piece. 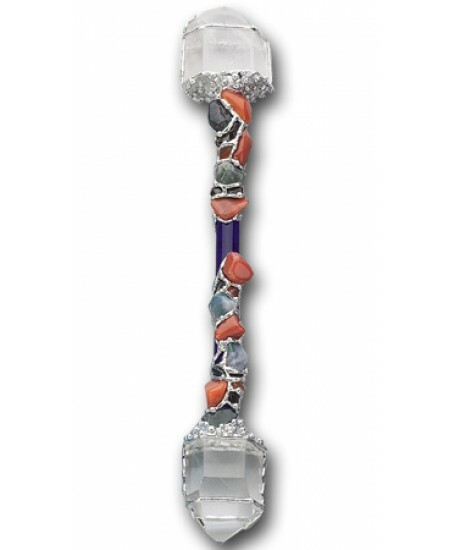 The purple glass shaft of this Confidence Wand is set with silver and gemstones. Green Agate and Carnelian promote peace, harmony and self-confidence to the shy or timid. Garnet assists in increasing confidence while Lapis Lazuli uplifts, soothes, aids communication skills and bestows self-confidence with a helpful frame of mind. 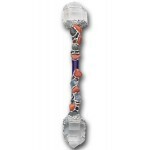 The Clear Quartz amplifies and directs the flow of energy from the other stones. 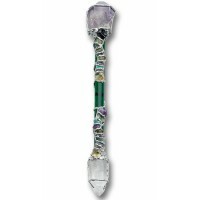 Gemstones: Green Agate, Carnelian, Garnet, Lapis Lazuli and Clear Quartz are artistically designed in this wand that can be used for meditation or spell work. Item Number: LS-LW41 | Approximate Size (Inches): 13.00 wide x 1.00 deep x 1.00 high | Approximate Shipping Weight: 2.00 lbs.